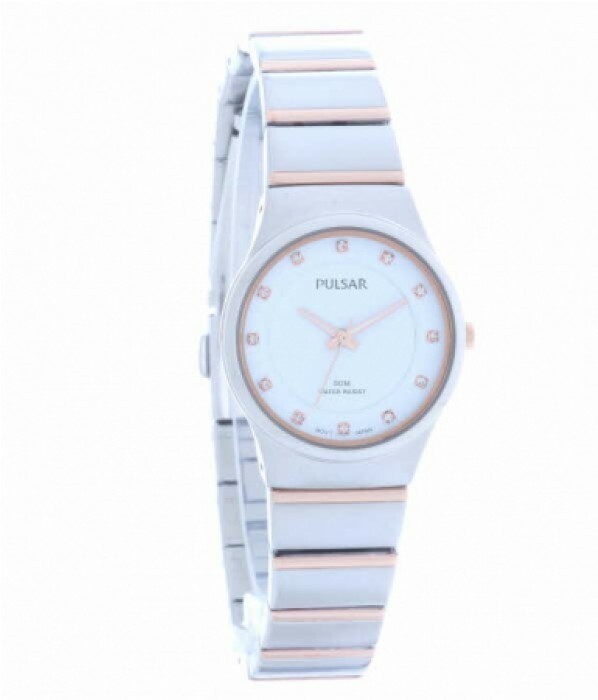 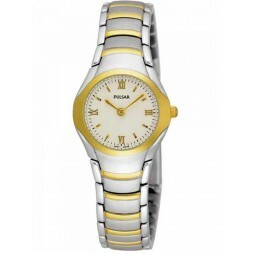 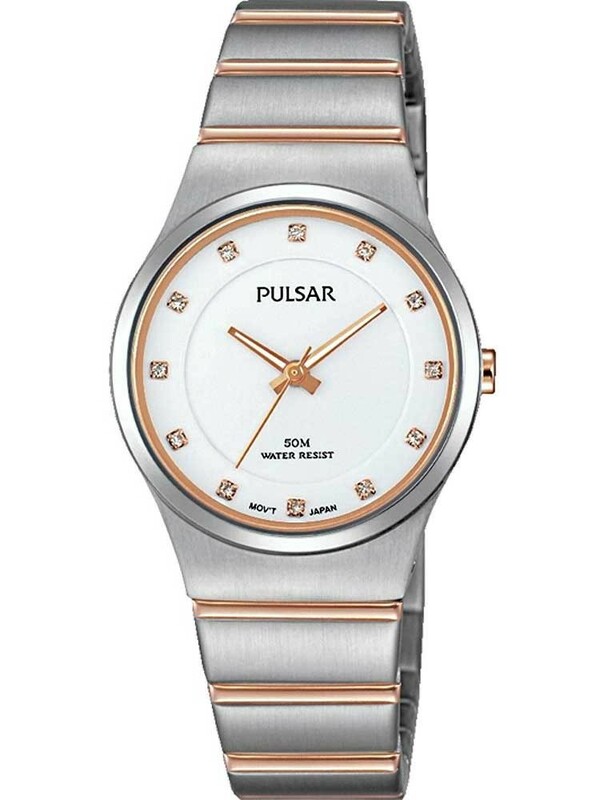 Adore telling the time with this stylish ladies timepiece from Pulsar. 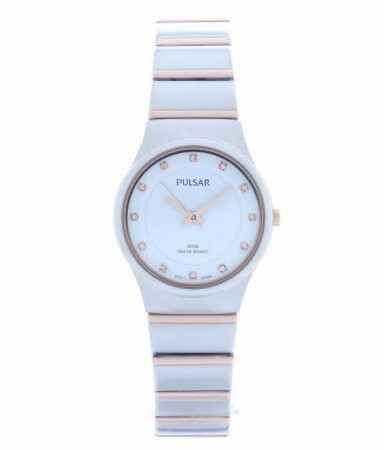 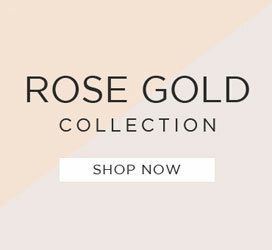 The gorgeous design is crafted from stainless steel with on trend rose gold detailing and sparkly stone set hour markers for a glamorous feminine finish. 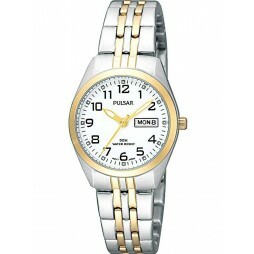 Complete with a secure push button deployment clasp and 50m water resistance. 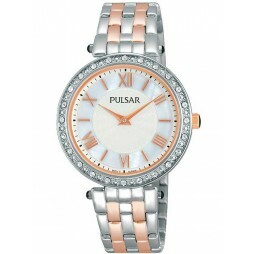 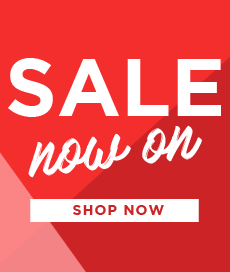 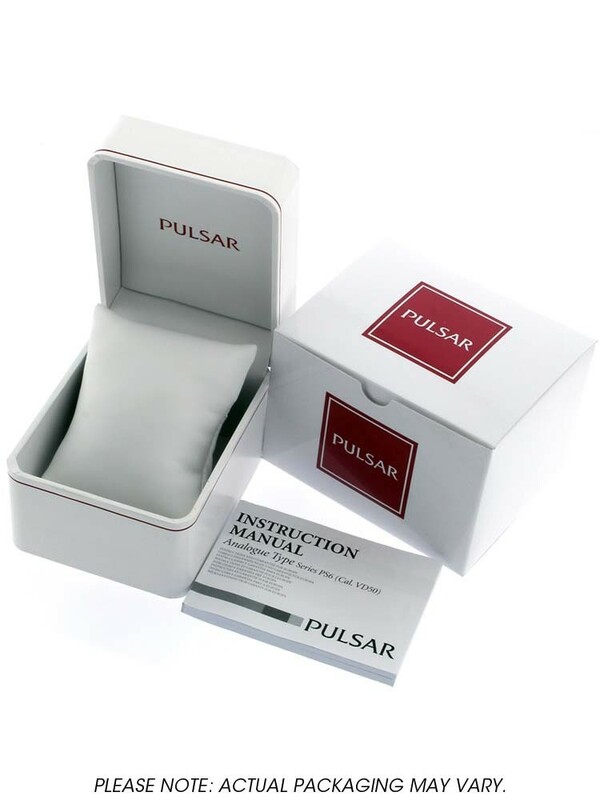 A wonderful gift for a special someone, buy with confidence.